The whole aging-in-place movement can be scary for senior housing providers who worry about how their occupancy levels might be affected with seniors increasingly wishing to remain in their own homes, but they can take advantage of the concept for the seniors who are already living in their facilities with the help of home health care services. The average age and acuity of current residents in both independent and assisted living facilities is going up, and those who are moving in are often older, says Ryan Frederick, principal of Point Forward Solutions, a consulting and financial advisory firm serving the seniors housing and care industry. Some younger seniors aren’t choosing to enter assisted living because of the higher age and acuity demographics, while those who enter independent living are staying longer before transitioning to a higher level of care. But despite a longer independent living stay, residents’ overall length of stay is shorter, and many places are experiencing a higher turnover than what they’ve historically had, says Frederick. “If you’re a CCRC provider, you’re having a harder time bringing younger people in because of aging in place, and you’re gonna be facing a higher turnover,” he says. It’s a big issue for providers to figure out how to handle this, as high turnovers can be quite costly, and many are beginning to expand their services in order to accommodate changing demographics. As consumers and state governments alike increasingly turn to home health agencies as a more affordable source of senior care, some senior living providers are making sure they’re not left out of the movement by buying agencies or incorporating home care into their communities. Many signs point toward the declining viability of the next couple generations of seniors being able to afford their long-term care in nursing homes. A generous number of nursing home residents already depend on Medicaid to fund their stays, but as Medicaid eligibility expands and census grows, state governments are looking for ways to deliver care less expensively, and home-based care is one such way to do so. If senior living providers don’t want to be shut out of the business opportunities presented by the thousands of Baby Boomers, many of whom will be needing some sort of long-term care in the next 15-20 years, they might want to consider integrating home health services. Brookdale Senior Living’s strategy, for example, is adding healthcare services to their communities to help people age in place. They’re using Care3 Wellness programs through Brookdale’s Innovative Senior Care program, which includes a Medicare-certified home health care service. Care3 Wellness is described as a “comprehensive nursing, therapy, and wellness system” that can help residents retain or improve their independence. The program’s benefits include the potential for residents to have “better health at any age in any senior living environment,” with residents assessed by senior care professionals on a voluntary basis to determine which segment of the Care3 Wellness Program they would best fit into, according to Brookdale, based on their personal level of health, fitness, or mobility. Some senior care companies, such as The Ensign Group, Inc., (NASDAQ:ENSG) are going a slightly different direction and expanding services by acquiring home health care businesses. In December, Ensign acquired Homecare Solutions, a Denver, Colo.-based home health agency. This “lateral diversification broaden[ed] Ensign’s reach into that business,” said Christopher Christensen, the company’s president and CEO. Ensign most recently made headlines for its purchase of Connected Home Health, a Portland home health agency, with Christensen again speaking to the company’s move to grow and develop its home health business. These two agencies join Ensign’s existing similar operations: Horizon Home Health and Hospice in Idaho; Custom Care Hospice in Texas; Careage Home Care, in Iowa; and Symbil Home Health and Hospice, in Utah. The businesses are operated through affiliates of Cornerstone Healthcare, Inc., Ensign’s home health and hospice-based portfolio subsidiary. Home Health as a Conduit to Assisted Living Care? Emeritus Senior Living, based in Seattle, Wash., is considering tapping into the home health care market. The company currently offers “complimentary home visits” where an Emeritus nurse will do an assessment of a senior in the community and in many cases identify needs that aren’t being met. Then, the senior living provider attempts to connect the individual and their family with resources to help meet those needs, which in some cases could be home health care. For now, Emeritus is referring these seniors to home health care agencies, but in the future, says the company’s president and CEO Granger Cobb, it’s possible they’ll offer their own home health care services. However, he also points out that while a home health agency would complement the company’s service offerings, it could also provide a referral conduit into Emeritus communities in the event that it became more cost efficient for someone receiving home health care to enter a facility. 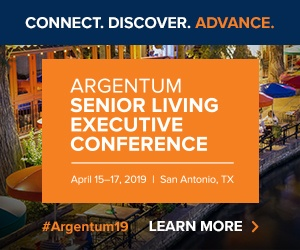 Rather than seeing the aging in place movement as a foe, senior living providers have the option of incorporating home health care into its existing assisted living and independent communities, whether it’s through a subsidiary operation or a third-party agency. And it’s possible to go still further and expand service offerings to include home care for seniors who haven’t yet joined senior living communities, especially as this could eventually serve as a referral base for potential future residents.